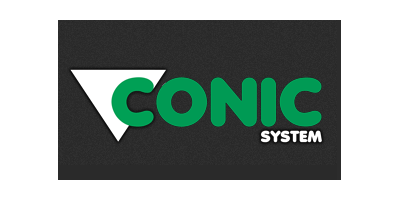 Conic - TD1-330 - Seeder - Punching and Seeding Module by Conic System S.L. 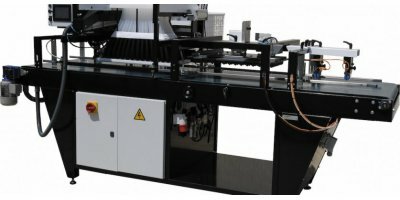 The TD1-330 section of dibbler and seeder heads, allows seeding any type of tray with high precision and speed. The sowing head DECOP CLASSIC has been renovated to improve its performance. The TD1 allows to works with the previous section with filler and the after section of coverage and irrigation becoming an automatic line PRO-330. It is also compatible to work with other lines of sowing. The plate seeder DECOP performs complete sowing tray in each shot. The seed selection is made in a pre-seeding process before to sow the tray, this allows very precise adjustment of the selection to obtain a high precision in any kind of seeds. A small vacuum cleaner allows you to recover the remaining seeds. Changing seeds is very fast and mechanical adjustments are not necessary in the plates to calibrate the selection. The plate design prevents their seeding shutter, and in each working cycle is intercalated pressurized air to clean obstructions. The selection system with combs and plates allows high precision with all kinds of seeds. Flowers, vegetables and forestry can be planted without pelleting. The selection board also allows multiple sowings easily and accurately can be seeded 2, 3 or 4 seeds in each hole. For herbs seeds sowings can be made by groups with the same speed that the individual crops. No reviews were found for Conic - Model TD1-330 - Punching and Seeding Module. Be the first to review!